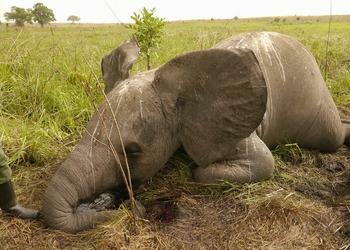 In its first resolution against wildlife trafficking, the 193-Member Assembly expressed serious concern over the steady rise in the level of rhino poaching and the “alarmingly high” levels of killings of elephants in Africa, which threaten those species with local extinction and, in some cases, with global extinction. “Illegal wildlife trafficking not only threatens species and ecosystems; it affects the livelihoods of local communities and diminishes touristic attractions. It compromises efforts towards poverty eradication and the achievement of sustainable development,” said Sam Kahamba Kutesa of Uganda, president of the 69th session of the General Assembly, in a statement. The resolution encourages governments to end the “abhorrent” multibillion-dollar trade often associated with organized crime networks, armed groups and terrorist organizations. 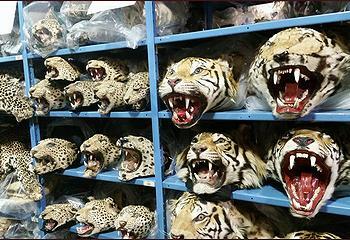 By adopting the consensus text resolution, the Assembly expressed concern that illicit trafficking in protected species of wild animals and plants is an increasingly sophisticated form of transnational organized crime that poses a threat to health and safety, security, good governance and the sustainable development of UN Member States. The resolution calls upon Member States to make illicit trafficking in protected species of wild animals and plants involving organized criminal groups a “serious crime” in accordance with their national legislation. Governments agreed to strengthen the legislation necessary for the prevention, investigation and prosecution of such illegal trade, as well as strengthening enforcement and criminal justice responses. “The adoption of this resolution today and its effective implementation will be crucial in our collective efforts to combat illicit trafficking in wildlife worldwide,” stated President Kutesa. John Scanlon, the secretary-general of the Convention on the International Trafficking of Endangered Species, CITES, welcomed the resolution, saying it reflects the heightened level of political concern over the devastating impacts of poaching and illegal trade in wildlife. “It is particularly important in strengthening the political resolve to combat these serious crimes,” Scanlon said. Scanlon credited the 25-member UN Group of Friends on Poaching and Illicit Wildlife Trafficking established in New York in December 2013 and co-chaired by Gabon and Germany for preparation of the draft resolution. On World Wildlife Day March 3, CITES reported that 1,215 rhinos were poached in South Africa alone in 2014 – this translates to one rhino killed every eight hours. About 95 percent of rhino poaching takes place in South Africa, which has the largest remaining populations. The involvement of organized criminal syndicates has increased poaching from less than 20 in 2007 to over 1,000 in South Africa in 2013, and rhino horn poached in 2014 is valued at a total of up to US$192 million. The Great Apes Survival Partnership, GRASP, reports that the illicit traffic in live great apes is an increasingly serious threat to chimpanzees, gorillas, and bonobos in Africa and orangutans in Asia, with seizures averaging 1.3 per week since 2014. Many more great apes die during capture and captivity than ever enter the illicit trade; it is estimated that a minimum of 220 chimpanzees, 106 orangutans, 33 bonobos, and 15 gorillas have been lost from the wild over the 14 months prior to March 2015, according to GRASP. GRASP is a unique alliance of 100 national governments, conservation organizations, research institutions, United Nations agencies, and private companies committed to ensuring the long term survival of great apes in Africa and Asia. 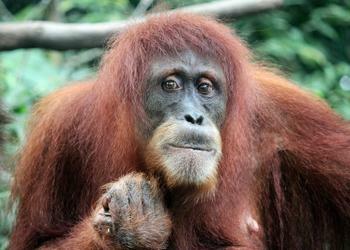 An estimated 55,000 Bornean orangutans remain in the wild, split into three distinct subspecies. Over 80 percent of the orangutan’s remaining habitat in Borneo could be lost by the year 2080 if the island’s current land-use policies continue, according to a new United Nations report released Tuesday. “The Future of the Bornean Orangutan: Impacts of Change in Land Cover and Climate” was published by the UN Environment Programme and Liverpool John Moores University, in collaboration with GRASP. It warns that the massive conversion of Borneo’s forests for agricultural development, primarily oil palm, will leave the endangered orangutans fragmented and facing extinction in several areas. In addition, the environmental impact of climate change accelerated by the deforestation of Borneo could result in severe floods, temperature rises and reduced agricultural productivity. The report was presented at the GRASP Regional Meeting – Southeast Asia, held July 27-28 on Borneo in Kota Kinabalu, Malaysia.